Hi again, today is the last day of our June JustRite Papercrafts release. Hope you enjoyed our inspiration and picked out a few if not all stamps to play with. Today I am showcasing two stamps and they are actually both background stamps. One is called Christmas Postcard Cling Background Stamp and the other one is Holy Garlands Cling Background stamp. To get the affect of my background I painted watercolor paints direct onto my Holy Garlands Cling Background stamp and stamped it onto watercolor paper. It's a really cool affect as you can see. I stamped my Christmas Postcard Cling Background Stamp with brown ink onto watercolor paper and using Rangers distress markers I painted my image in loosely, than I die cut my image using Spellbinders Labels Twenty Eight. I also die cut a Spellbinders Decorative Labels Twenty Eight die and layered it under my label. And of course I had to use our newest JustRite die called Heirloom Flourish Two Dies, and layered that underneath all layers of the my focal label. I also wanted to add a sentiment, so I stamped it using Elegant Christmas Clear Stamps and cut a flag out of it. Finally I added a pretty seam binding ribbon and Petaloo's Berry Clusters. 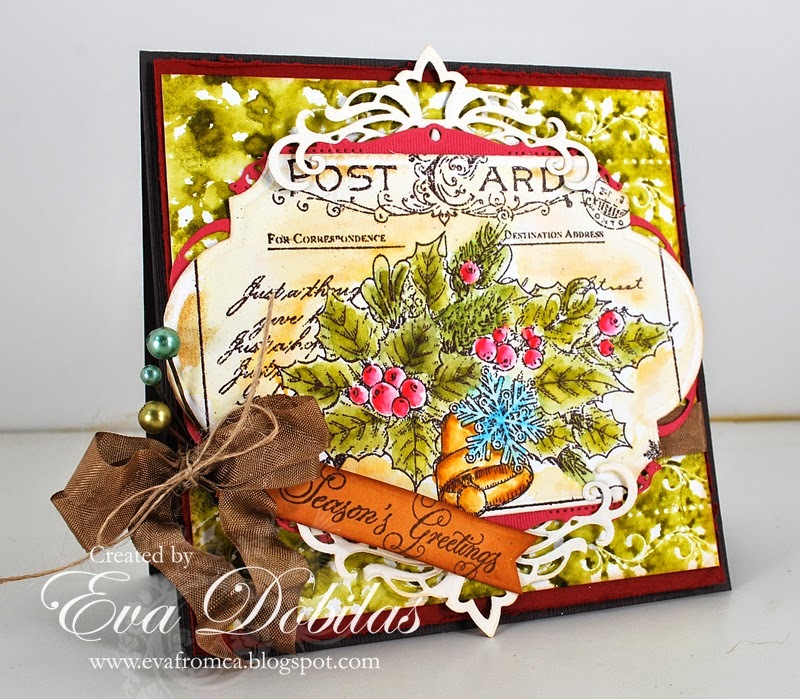 Here is what this gorgeous Christmas Postcard Background Stamp looks like. 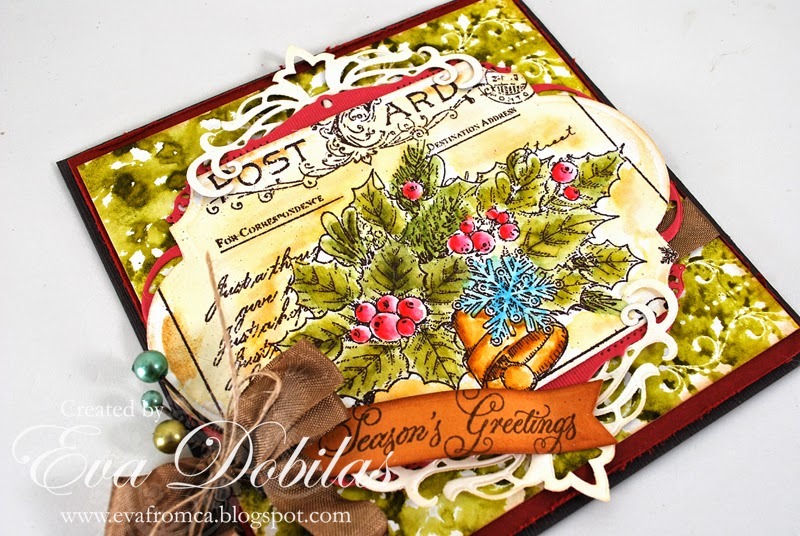 And here is the Holly Garlands Background stamp. Well, I really hope you enjoyed our release inspiration and don't forget to check out what the rest of my design team mate created using today's stamps! Thanks for visiting and have a beautiful rest of the day!